Oklahoma Center of Empowerment, LLC (OCoE) is commitment is to provide services, programs and resources for our community’s. Our emphases are with military veterans and their families, the homeless, individuals with special needs or disabilities, low-moderate income persons and persons freed from incarceration. Our services are designed to ensure the people we serve can compete in today’s economy. With the support from community leader’s, we will be able to empower the people we serve. One of the community’s greatest challenges is making sure there is a skilled workforce in place to drive our economy forward. OCoE is committed to our community in creating the workforce and community of tomorrow with your help. This will be accomplished by expanding Career Development; Training, Education and Advocacy (TEA); Motivation and Self-Awareness (MSA); though Pre-Vocational Community Base and Center Base Pre-Vocational programs for people with disabilities. This will be achieved by empowering specific individuals with the tools to lead functional, productive, and wholesome lives. What Does OCoE Do For Our Veterans? With a proven track record for putting veterans first, Oklahoma Center of Empowerment, LLC (OCoE) put the needs of the homeless and disabled veteran first. This is evident by OCoE being awarded by the Small Business Administration, the 2013 Veteran Campaign Award. Our organization exists to serve you, your families and support your specific needs. Whether you are interested in reconnecting with your branch of service, networking with other veterans who share your experiences and ideas, assistance with services if you are disabled, maximizing your VA benefits, learning more about current legislation or researching the many programs in place to get you involved in recreation or gainful employment. Oklahoma Center of Empowerment, LLC (OCoE) has developed comprehensive services to assist our veterans at various stages of transitioning out of military service and build confidence to work back in the community civilian sector. Presently, we have many veterans and non-veterans participate in our programs. We also offer resources to assist with housing for veterans working in our employment services program or needing sober-living. 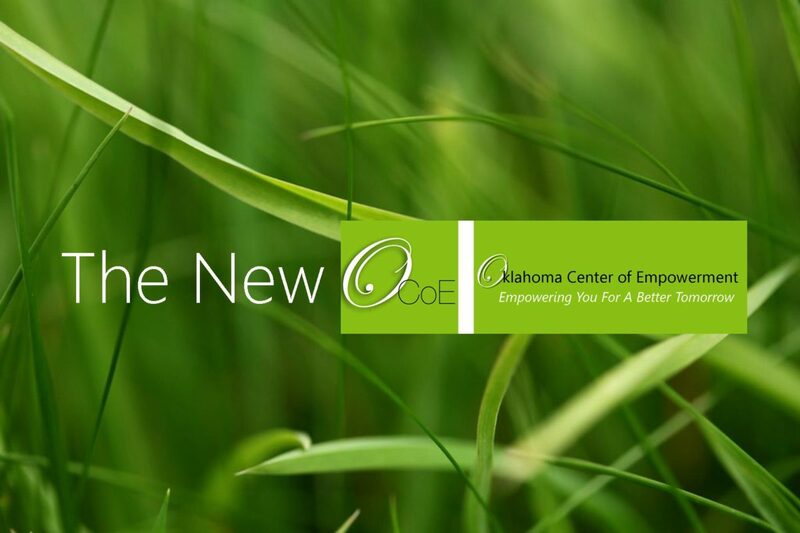 At the Oklahoma Center of Empowerment, our mission is to serve the community through empowering specific individuals with tools to lead functional, productive, and wholesome lives. Our emphases are with military veterans, the homeless, individuals with special needs or disabilities, low-moderate income persons, and those freed from incarceration.